75. 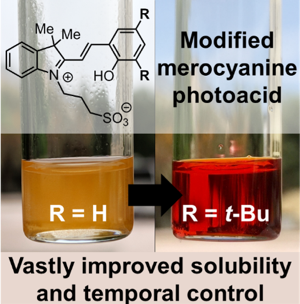 “Tuning Merocyanine Photoacid Structure to Enhance Solubility and Temporal Control: Application in Ring Opening Polymerization” Zayas, S. M.; Dolinski, N. D.; Self, J. L.; Abdilla, A.; Hawker, C. J.; Bates, C. M.; Read de Alaniz, J. ChemPhotoChem 2019, ASAP. 74. “What happens in the dark? 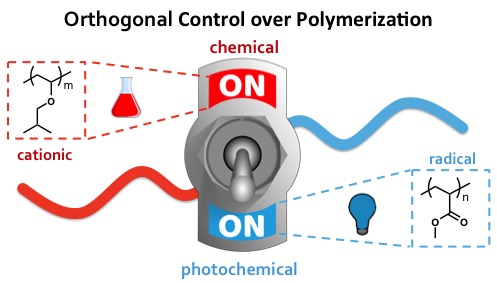 Assessing the temporal control of photo‐mediated controlled radical polymerizations“ Dolinksi, N. D.; Page, Z. A.; Discekici, E. H.; Meis, D.; Lee, I-H.; Jones, G. R.; Whitfield, R.; Pan, X.; McCarthy B. G.; Shanmugam, S.; Kottisch, V.; Fors, B. P.; Boyer, C.; Miyake, G. M.; Matyjaszewski, K.; Haddleton, D. M.; Read de Alaniz, J.; Anastasaki, A.; Hawker, C. J. J. Polym. Sci. Part A. 2019, 57, 268–273. DOI: 10.1002/pola.29247. 71. “The Evolution and Future Directions of Metal-Free Atom Transfer Polymerization” Discekici, E. H.; Anastasaki, A.; Read de Alaniz, J.; Hawker, J. C. Macromolecules 2018, 51, 7421–7434. DOI: 10.1021/acs.macromol.8b01401. 70. “3H-3a,6-Methano-2,1-benzisothiazole-1(4H)-carboxamide, tetrahydro-N-hydoxy-8,8-dimethyl-, 2,2-dioxide” Shaum, J. B.; Read de Alaniz, J. eEROS, Article. 67. “Wavelength-Selective Light-Responsive DASA-Functionalized Polymersome Nanoreactors” Rifaie-Graham, O.; Ulrich, S.; Galensowske, N. F. B.; Balog, S.; Chami, M.; Rentsch, D.; Hemmer, J. R.; Read de Alaniz, J.; Boesel, L. F.; Bruns, N. J. Am. Chem. Soc. 2018, 140, 8027–8036. DOI: 10.1021/jacs.8b04511. 65. “Brønsted-Acid-Catalyzed Exchange in Polyester Dynamic Covalent Networks” Self, J. L.; Dolinski, N. D.; Zayas, M. S.; Read de Alaniz, J.; Bates, C. M. ACS Macro Lett. 2018, 7, 817–821. DOI: 10.1021/acsmacrolett.8b00370. 64. 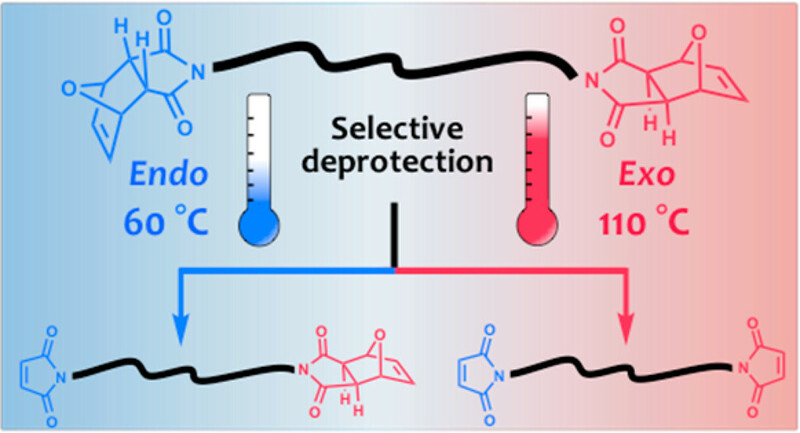 “Endo and Exo Diels–Alder Adducts: Temperature-Tunable Building Blocks for Selective Chemical Functionalization” Discekici, E. H.; St. Amant, A. H.; Nguyen, S. N.; Lee, I-H,; Hawker, C. J.; Read de Alaniz, J. J. Am. Chem. Soc. 2018, 140, 5009–5013. DOI: 10.1021/jacs.8b01544. 63. “Preparation of Cyclopent-2-enone Derivatives via the Aza-Piancetelli Rearrangement” Nichol, M. F.; Limon, L.; Read de Alaniz, J. Org. Synth. 2018, 95, 46–59. 62. “Desulfurization-bromination: direct chain-end modification of RAFT polymers” Lee, I-H.; Discekici, E. H.; Shankel, S. L.; Anastasaki, A.; Read de Alaniz, J.; Hawker, C. J. Polymer Chem. 2017, 8, 7188–7194. 61. Controlled Radical Polymerization of Vinyl Ketones” Lee, I-H.; Discekici, E. H.; Anastasaki, A; Read de Alaniz, J.; Hawker, C. J. Polymer Chem. 2017, 8, 3351–3356. 60. “Nitrosocarbonyl Hetero-Diels–Alder Cycloaddition with 2-Substituted 1,3-Butadienes” Lewis, R. B.; Read de Alaniz, J. Tetrahedron, 2017, 73 4045–4051. 59. “Visible Light-Responsive DASA-Polymer Conjugates” Ulrich, S.; Hemmer, J. R.; Page, Z. A.; Dolinski, N. D.; Rifaie-Graham, O.; Hawker, C. J.; Boesel, L. F.; Read de Alaniz, J. ACS Macro. Lett. 2017, 6, 738–742. 58. “Established and Emerging Strategies for Polymer Chain-End Modification” Lunn, D. J.; Discekici, E. H. Read de Alaniz, J.; Gutekunst, W. R.; Hawker, C. J. J. Polym. Sci. A. Polym. Chem. 2017, 55, 2903–2914. 57. “Light-Mediated Atom Transfer Radical Polymerization of Semi-Fluorinated (Meth)acrylates: Facile Access to Functional Materials” Discekici, E. H.; Anastasaki, A.; Kaminker, R.; Willenbacher, J.; Truong, N. P.; Fleischmann, C.; Oschmann, B.; Lunn, D. J.; Read de Alaniz, J.; Davis, T. P.; Bates, C. M.; Hawker, C. J. J. Am. Chem. Soc. 2017, 139, 5939–5945. 56. 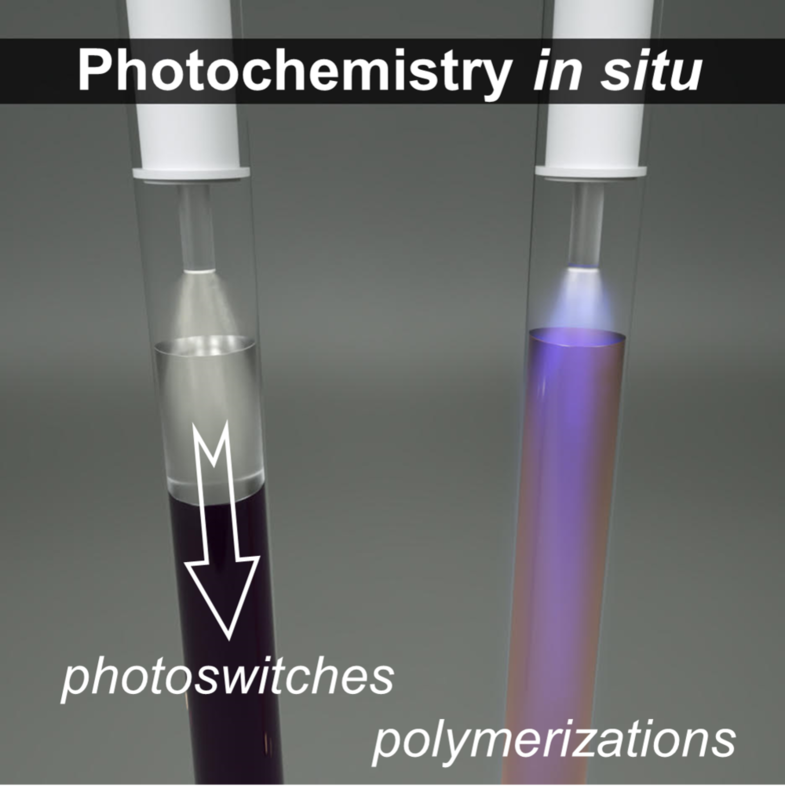 “A Versatile Approach for In Situ Monitoring of Photoswitches and Photopolymerizations” Dolinski, N. D.; Page, Z. A.; Eisenreich, F.; Niu, J.; Hecht, S.; Read de Alaniz, J.; Hawker, C. J. ChemPhotoChem 2017, 1, 125–131. 55. “Dual-pathway chain-end modification of RAFT polymers using visible light and metal-free conditions” Discekici, E. H.; Shankel, S. L.; Anastasaki, A.; Oschmann, B.; Lee, I-H.; Niu, J.; McGrath, A. J.; Clark, P. G.; Laiter, D. S.; Read de Alaniz, J.; Hawker, C. J.; Lunn, D. J. Chem. Commun. 2017, 53, 1888–1891. 54. 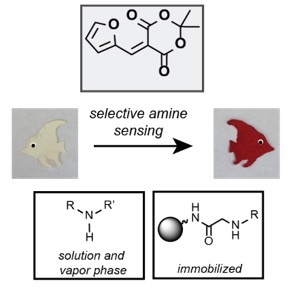 “A Versatile and Highly Selective Colorimetric Sensor for the Detection of Amines” Diaz, Y. J.; Page, Z. A.; Knight, A. S.; Treat, N. J.; Hemmer, J. R.; Hawker, C. J.; Read de Alaniz, J. Chem. Eur. J. 2017, 23, 3562–3566. 53. “Triazine-mediated Controlled Radical Polymerization: New Unimolecular Initiators” Areephong, J.; Mattson, K. M.; Treat, N. J.; Poelma, S. O.; Kramer, J. W.; Sprafke, H. A.; Latimer, A. A.; Read de Alaniz, J.; Hawker, J. C. Polym. Chem. 2016, 7, 370–374. 52. 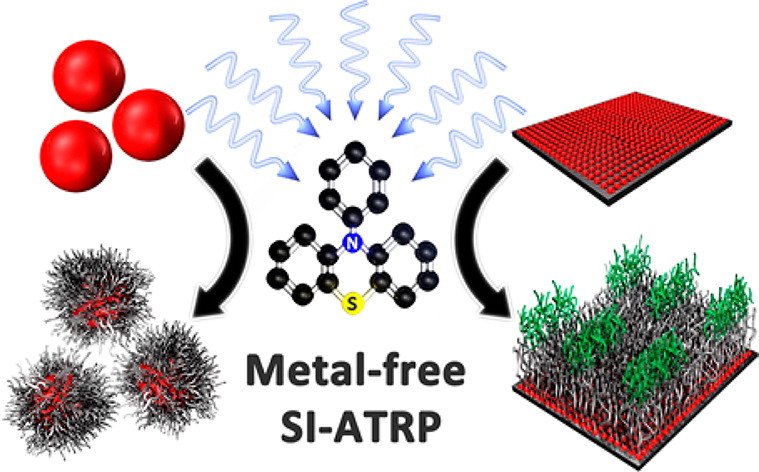 “Simple Benchtop Approach to Polymer Brush Nanostructures Using Visible-Light-Mediated Metal-Free Atom Transfer Radical Polymerization” Discekici, E. H.; Pester, C. W.; Treat, N. J.; Lawrence, J.; Mattson, K. M.; Narupai, B.; Toumayan, E. P.; Luo, Y.; McGrath, A. J.; Clark, P. G.; Read de Alaniz, J.; Hawker, C. J. ACS Macro Lett. 2016, 5, 258–262. 51. “Synthesis of Hindered Anilines: Three Component Coupling of Arylboronic Acids, t-Butyl Nitrite, and Alkyl Bromides” Fisher, D. J.; Shaum, J. B.; Mills, L. C.; Read de Alaniz, J. Org. Lett. 2016, 18, 5074–5077. 50. “Direct Synthesis of Anilines and Nitrosobenzenes from Phenols” St. Amant, A.H.; Frazier, C. P.; Newmeyer, B.; Fruehauf, K. R.; Read de Alaniz, J. Org. Biomol. Chem. 2016, 14, 5520–5524. 49. “Determination of Methylene Bridge Crosslinking in Chloromethylated PS-DVB Resins” Burnett, G. L.; Rohanna, J. C.; Rosenberg, S.; Schultz, A. K.; Read de Alaniz, J. J. Polym. Sci., Part A: Polym. Chem. 2016, 54, 1955–1960. 48. “Tunable Visible and Near Infrared Photoswitches” Hemmer, J. R.; Poelma, S. O.; Treat, N.; Page, Z. A.; Dolinski, N.; Diaz, Y. J.; Tomlinson, W.; Clark, K. D.; Hooper, J. P.; Hawker, C. J.; Read de Alaniz, J. J. Am Chem. Soc. 2016, 138, 13960–13966. 47. 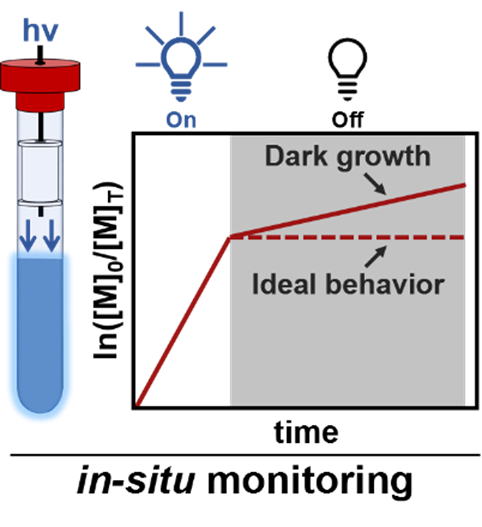 “Controlled Drug Release to Cancer Cells from Modular One-Photon Visible Light-Responsive Micellar System” Poelma, S. O.; Oh, S. S.; Helmy, S.; Knight, A. S.; Burnett, L. G.; Soh, T.; Hawker, C. J.; Read de Alaniz, J. Chem. Commun. 2016, 52, 10525–10528. 46. “Chemoselective Radical Dehalogenation and C–C Bond Formation on Aryl Halide Substrates Using Organic Photoredox Catalysts” Poelma, S. O.; Burnett, G. L.; Discekici, E. H.; Mattson, K. M.; Treat, N. J.; Luo, Y.; Hudson, Z. M.; Shankel, S. L.; Clark, C. G.; Kramer, J. W.; Hawker, C. J.; Read de Alaniz, J. J. Org. Chem. 2016, 7155–7160. 45. “Temperature-mapping molecular sensor for polyurethane-based elastomers” Mason, B. P.; Whittaker, M.; Hemmer, J.; Arora, S.; Harper, A.; Alnemrat, S.; McEachen, A.; Helmy, S.; Read de Alaniz, Hooper, J. P. Appl. Phys. Lett. 2016, 108, 041906. 44. “Photochromic and Thermochromic Heterocycles” Helmy, S.; Read de Alaniz, J. Advances in Heterocyclic Chemistry, F. V. S. Eric, A. R. Christopher, Eds. (Academic Press, 2015), vol. Volume 117, pp. 131–177. 43. “Tandem Reaction Progress Analysis as a Means for Dissecting Catalytic Reactions: Application to the Aza-Piancatelli Rearrangement” Chung, R.; Yu, D.; Thai, V. T.; Jones, A. F.; Veits, G.; Read de Alaniz, J.; Hein, J. E. ACS Catalysis, 2015, 5, 4579–4585. 42. 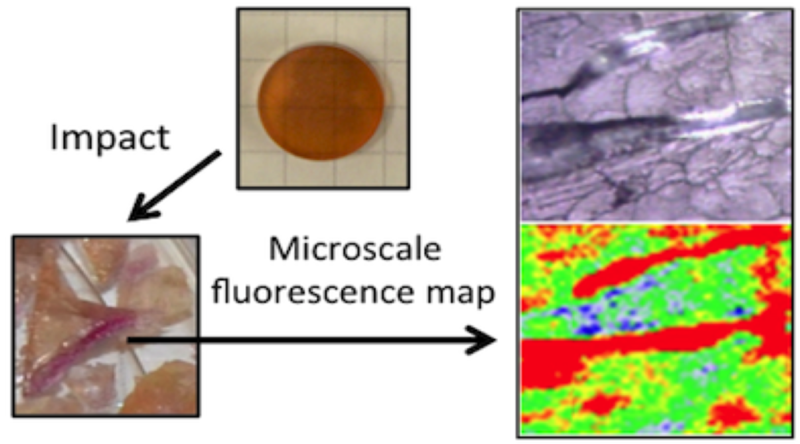 “Optical Characterization and Confocal Fluorescence Imaging of Mechanochromic Acrylate Polymers” van Horn, M.; Smith, P.; Mason, B. P.; Hemmer, J. R.; Read de Alaniz, J.; Hooper, J. P.; Osswald, S. J. Appl. Phys. 2015, 117, 043103. 41. “Accessing Nitrosocarbonyl Compounds with Temporal and Spatial Control via the Photoredox Oxidation of N-Substituted Hydroxylamines” Frazier, C. P.; Palmer, L. I.; Samoshin, A. V.; Read de Alaniz, J. Tetrahedron Lett. 2015, 56, 3353–3357. 40. “A Highly Reducing Metal-Free Photoredox Catalyst: Design and Application in Radical Dehalogenation” Discekici, E. H.; Treat, N. J.; Poelma, S. O.; Mattson, K. M.; Hudson, Z. M.; Luo, Y.; Hawker, C. J.; Read de Alaniz, J. Chem. Comm. 2015, 51, 11705–11708. 39. “Synthesis of Hindered a-Amino Carbonyls: Copper-Catalyzed Radical Addition with Nitroso Compounds” Fisher, D. J.; G. Burnett, L.; Rocio, V.; Read de Alaniz, J. J. Am. Chem. Soc. 2015, 137, 11614–11617. 38. “Asymmetric Electrophilic a-Amination of Silyl Enol Ether Derivatives via the Nitrosocarbonyl Hetero-ene Reaction” Sandoval, D.; Samoshin, A. V.; Read de Alaniz, J. Org. Lett. 2015, 17, 4514–4517. 37. “Cascade Rearrangement of Furylcarbinols with Hydroxylamines: Practical Access to Densely Functionalized Cyclopentane Derivatives” Veits, G. K.; Wenz, D. R.; Palmer, L. I.; Read de Alaniz, J. Org. Biomol. Chem. 2015, 31, 8465–8469. 37. “The Nazarov Cyclization: A Valuable Method to Synthesize Fully Substituted Carbon Stereocenters” Wenz, D. R.; Read de Alaniz, J. Eur. J. Org. Chem. 2014, 23–37. 35. 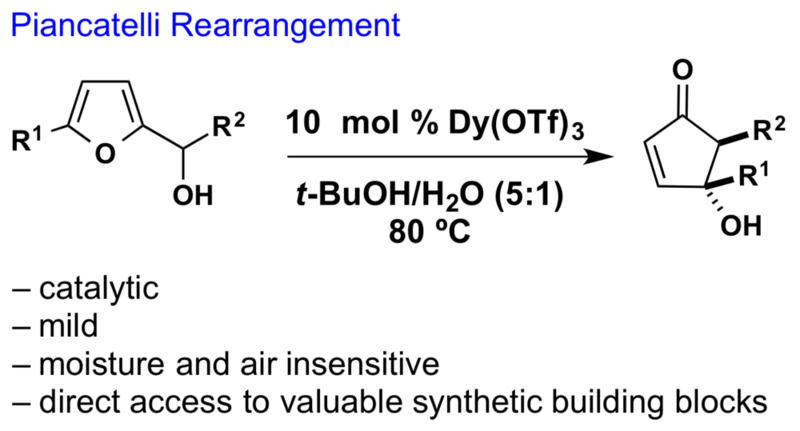 “Metal-Free, Atom Transfer Radical Polymerization” Treat, J. N.; Sprafke, H.; Kramer, J. W.; Clark, P. G.; Barton, B. E.; Read de Alaniz, J; Fors, B. P.; Hawker, C. J. J. Am. Chem. Soc. 2014, 136, 16096–16101. 34. 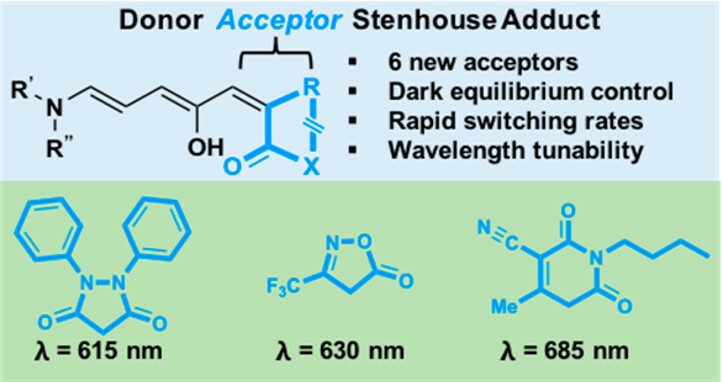 “Design and Synthesis of Donor-Acceptor Stenhouse Adducts: A New Visible Light Photoswitch” Helmy, S.; Oh, S.; Leibfarth, F.; Hawker, C. J.; Read de Alaniz J. Org. Chem. 2014, 79, 11316–11329. 33. “N-Boc-hydroxylamine” Sandoval, D.; Read de Alaniz, J. eEROS, Article. 32. “High Strain-Rate Response of Spiropyran Mechanophores in PMMA” Hemmer, J. R.; Smith, P. D.; van Horn, M.; Alnemrat, S.; Mason, B. P.; Read de Alaniz, J.; Osswald, S.; Hooper, J. P. J. Polym. Sci., Part B. 2014, 52, 1347–1356. 31. “Nitrosocarbonyl Hetero-Diels–Alder Cycloaddition: A New Tool for Conjugation” Samoshin, A.; Hawker, C. J.; Read de Alaniz, J. ACS Macro Lett. 2014, 3, 753–757. 30. 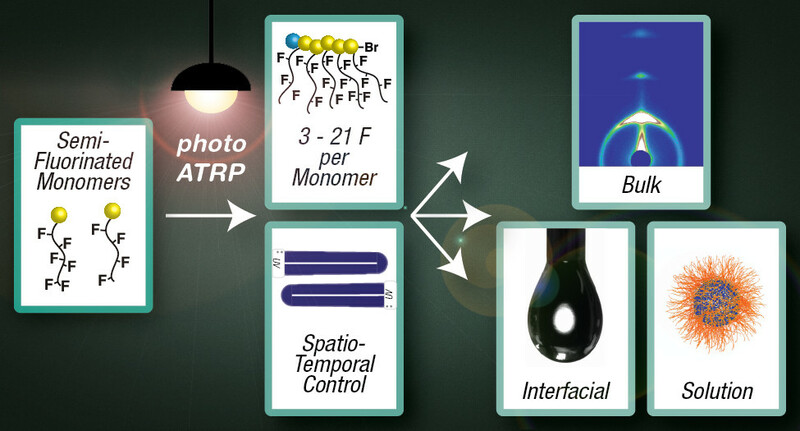 “Photoswitches Using Visible Light: A New Class of Organic Photochromic Molecules” Helmy, S.; Leibfarth, F. A.; Oh, S.; Poelma, J. E.; Hawker, C. J.; Read de Alaniz, J. J. Am. Chem. Soc. 2014, 136, 8169–8172. 29. “Controlled Radical Polymerization of Acrylates Regulated by Visible Light” Treat, N. J.; Fors, B. P.; Kramer, J. W.; Christianson, M.; Chiu, C-Y. ; Read de Alaniz, J.; Hawker, C. J. ACS Macro Lett. 2014, 3, 580–584. 28. 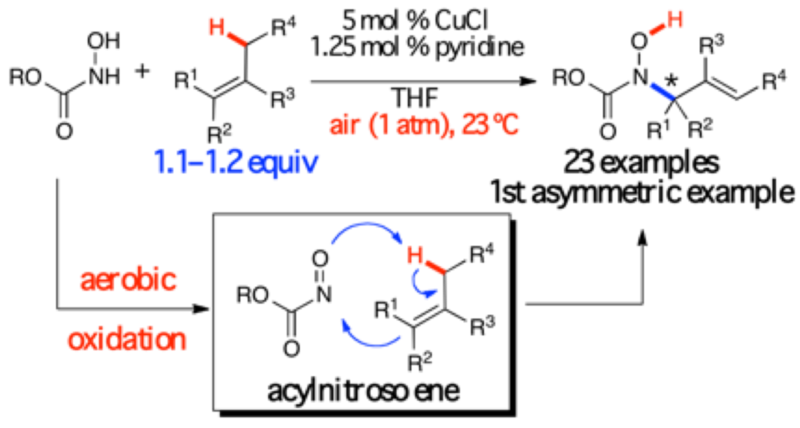 “Dysprosium (III) Triflate Catalyzed Piancatelli Rearrangement” Fisher, D.; Palmer, L. I.; Cook, J. E.; Davis J. E.; Read de Alaniz, J. Tetrahedron 2014, 70, 4105–4110. 27. “Developments in Nitrosocarbonyl Chemistry: Mild Oxidation of N-Substituted Hydroxylamines Leads to New Discoveries” Palmer, L. I.; Frazier, C. P.; Read de Alaniz, J. Synthesis, 2014, 46, 269–280. 26. “Lewis Acid Catalyzed Rearrangement of Furylcarbinols: The Aza- and Oxa-Piancatelli Cascade Reaction” Palmer, L. I.; Read de Alaniz, J. Synlett 2014, 25, 8–11. 25. “The Importance of Off-Cycle Species in the Acid-Catalysed Aza-Piancatelli Reaction” Yu, D.; Thai, V. T.; Palmer, L. I.; Veits, G. K.; Cook, J. E.; Read de Alaniz, J.; Hein, J. E. J. Org. Chem. 2013, 78, 12784–12789. 24. “Electrophilic a-Oxygenation Reaction of b-Ketoesters Using N-Hydroxycarbamates: Control of the Ambident Reactivity of Nitrosoformate Intermediates” Frazier, C. P.; Sandoval, D.; Palmer, L. I.; Read de Alaniz, J. Chem. Sci. 2013, 4, 3857–3862. 23. “Rapid Synthesis of Fused Oxabicycles via the Molecular Rearrangement of Spirocyclic Ethers” Palmer, L. I.; Veits, G. K.; Read de Alaniz, J. Eur. J. Org. Chem. 2013, 6237–6240. 22. “Aza-Piancatelli Rearrangement Initiated by Ring Opening of Donor–Acceptor Cyclopropanes” Wenz, D. R.; Read de Alaniz, J. Org. Lett. 2013, 15, 3250–3253. 21. “Dysprosium Trifluoromethanesulfonate” Veits, G. K.; Read de Alaniz, J. eEROS 2013. 20. “Rapid and Stereoselective Synthesis of Spirocyclic Ethers via the Intramolecular Piancatelli Rearrangement” Palmer, I. L.; Read de Alaniz, J. Org. Lett. 2013, 15, 476–­479. 19. “Electrophilic a-Amination Reaction of b-Ketoesters Using N-Hydroxycarbamates: Merging Aerobic Oxidation and Lewis Acid Catalysis” Sandoval, D.; Frazier, C. P.; Bugarin, A.; Read de Alaniz, J. J. Am. Chem. Soc. 2012, 134, 18948–18951. 18. 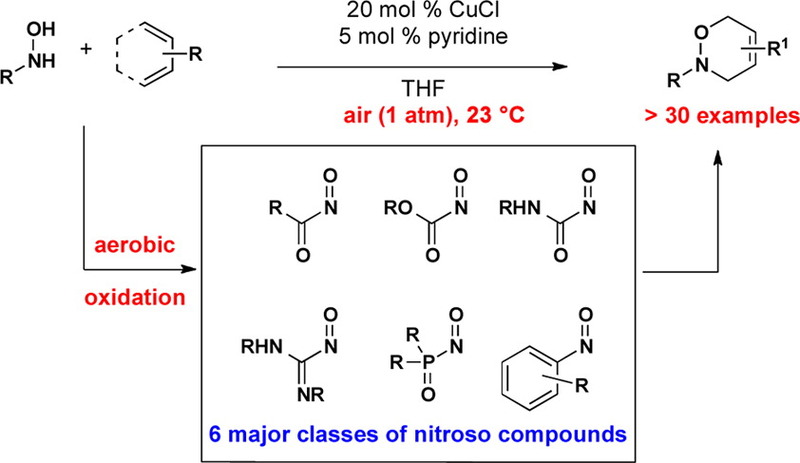 “Copper-Catalyzed Aerobic Oxidation of N-Substituted Hydroxylamines: Efficient and Practical Access to Nitroso Compounds” Frazier, C.; Bugarin, A.; Engelking, J.; Read de Alaniz, J. Org. Lett. 2012, 14, 3620–3623. 17. “Yttrium Trifluoromethanesulfonate” Palmer, L. I.; Read de Alaniz, J. eEROS 2012. 16. “Dysprosium(III) Catalysis in Organic Synthesis” Veits, G. K.; Read de Alaniz, J. Tetrahedron 2012, 68, 2015–2026. 15. “Copper Catalyzed Aerobic Oxidation of Hydroxamic Acids Leads to a Mild and Versatile Acylnitroso Ene Reaction” Frazier, C.; Engelking, J.; Read de Alaniz, J. J. Am. Chem. Soc. 2011, 133, 10430–10433. 14. “Direct and Highly Diastereoselective Synthesis of Azaspirocycles via a Dysprosium (III) Triflate Catalyzed Aza-Piancatelli Rearrangement” Palmer, L. I.; Read de Alaniz, J. Angew. Chem. Int. Ed. 2011, 50, 7167–7170. 13. “Versatile Method for Synthesis of 4-Aminocyclopentenones via a Dysprosium (III) Triflate-Catalyzed Aza-Piancatelli Rearrangement” Veits, G. K.; Wenz, D. R.; Read de Alaniz, J. Angew. Chem. Int. Ed. 2010, 49, 9484–9487. 12. “Mechanistic Investigation of the Enantioselective Intramolecular Stetter Reaction: Proton Transfer is the First Irreversible Step” Moore, J.L. ; Silvestri, A. P.; Read de Alaniz, J.; DiRocco, D. A.; Rovis, T. Org. Lett. 2011, 13, 1742–1745. 11. “Total Synthesis of (+)-Nankakurine A and B and (±)-5-epi-Nankakurine A” Altman, R. A.; Nilsson, B. L.; Overman, L. E.; Read de Alaniz, J.; Rohde, J. M.; Taupin, V. J. Org. Chem. 2010, 75, 7519–7534. 10. “Preparation of Chiral and Achiral Triazolium Salts: Carbene Precursors with Demonstrated Synthetic Utility.” Vora, H. U.; Lathrop, S. P.; Reynolds, N. T.; Kerr, M. S.; Read de Alaniz, J.; Rovis, T. Org. Synth. 2010, 87, 350. 9. “The Catalytic Asymmetric Intramolecular Stetter Reaction” Read de Alaniz, J.; Rovis, T. Synlett 2009, 8, 1189–1207. 8. “Enantioselective Total Syntheses of Nankakurine A and B: Confirmation of Structure and Establishment of Absolute Configuration.” Nilsson, B. L.; Overman, L. E.; Read de Alaniz, J.; Rohde, J. M. J. Am. Chem. Soc. 2008, 130, 11297–11299. 7. “Scope of the Asymmetric Intramolecular Stetter Reaction Catalyzed by Chiral Nucleophilic Triazolinylidene Carbenes.” Read de Alaniz, J.; Kerr, M. S.; Moore, J. L.; Rovis, T. J. Org. Chem. 2008, 73, 2033–2040. 6. “An Efficient Synthesis of Achiral and Chiral 1,2,4-Triazolium Salts: Bench Stable Precursors for N-Heterocyclic Carbenes” Kerr, M. S.; Read de Alaniz, J.; Rovis, T. J. Org. Chem. 2005, 70, 5725–5728. 5. “A Highly Enatio- and Diastereoselective Catalytic Intramolecular Stetter Reaction.” Read de Alaniz, J.; Rovis, T. J. Am. Chem. Soc. 2005, 127, 6284–6289. 4. “Conversion of a-Halo-Aldehydes into Acylating Agents by an Internal Redox Reaction Catalyzed by Nucleophilic Carbenes.” Reynolds, N. T.; Read de Alaniz, J.; Rovis, T. J. Am. Chem. Soc. 2004, 126, 9518–9519. 3. “A Highly Enantioselective Catalytic Intramolecular Stetter Reaction.” Kerr, M. S.; Read de Alaniz, J.; Rovis, T. J. Am. Chem. Soc. 2002, 124, 10298–10299. 2. 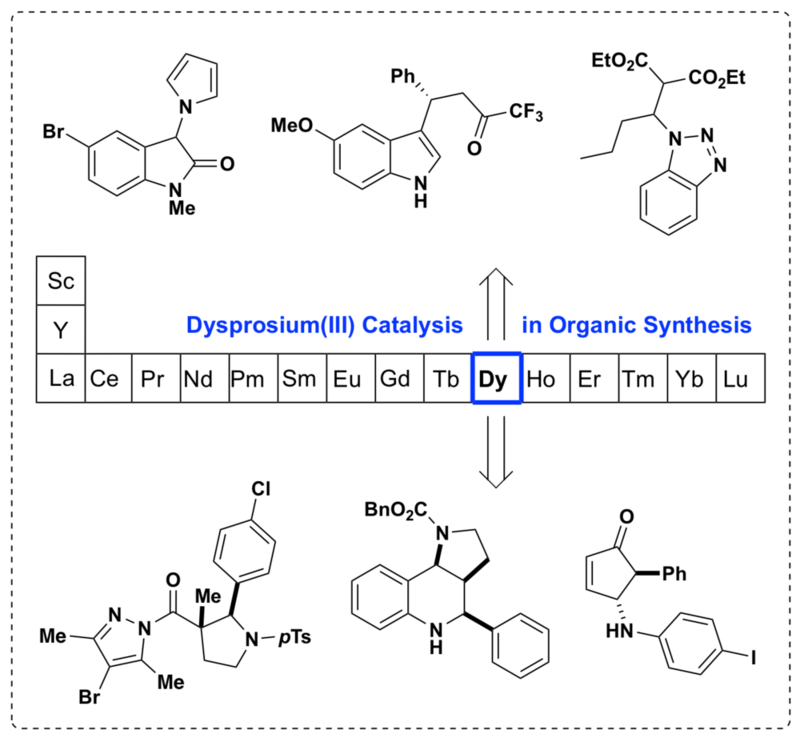 “Scalable and Efficient Synthesis of 2’-Deoxy-2’-N-phthaloyl Nucleoside Phosphoramidites for Oligonucleotide Synthesis.” Karpeisky, A.; Sweedler, D.; Haeberli, P.; Read de Alaniz, J.; Jarvis, K.; Beigelman, L. Bioorg. Med. Chem. Lett. 2002, 12, 3345–3347. 1. “Vinylalumination of Fluoro-Carbonyl Compounds.” Ramachandran, P. V.; Reddy, M. V. R.; Rudd, M. T.; Read de Alaniz, J. Tetrahedron Lett. 1998, 39, 8791–8794.